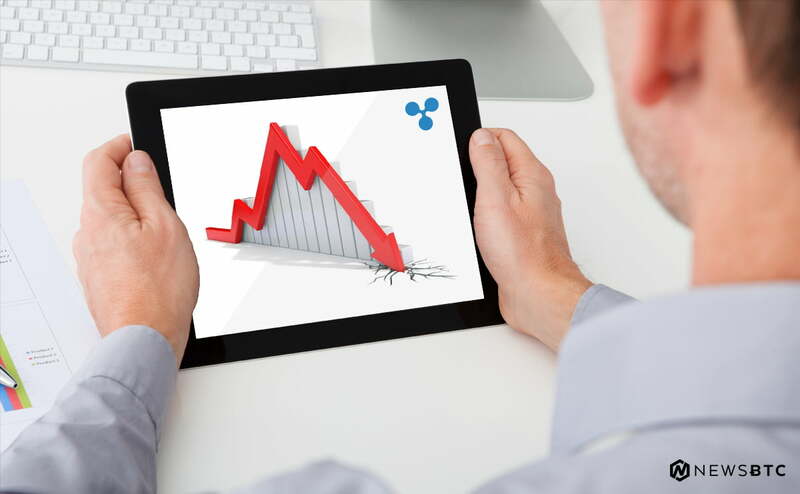 Candlestick arrangements coupled by recent fundamentals places Ripple (XRP) at an advantage. As a result of this, it is likely that XRP will increase driving prices above key resistance levels at 40 cents. Once that prints out, there will be little resistance for upsides and that places realistic targets at 60 cents. Perhaps as a show of support, Changpeng Zhao has reaffirmed his support of XRP. Grappling with centralization claims as well as accusations that the third most valuable coin by market cap is a security, the Binance CEO is indifferent. Maintaining that the market has been generally supportive of the currency despite pending lawsuits, he continues to ooze confidence that XRP will be part of Binance until after the US SEC announces that the coin is security. All in all, it appears as if the general sentiment is shifting from averseness to risk-taking if we conclude recent events. Roughly two weeks ago, CoinBase—a significant exchange in the US said they would be offering the coin pairing it against BTC and fiat. The reception was well as XRP expanded, reversing losses of Feb 24 which is what investors needed. 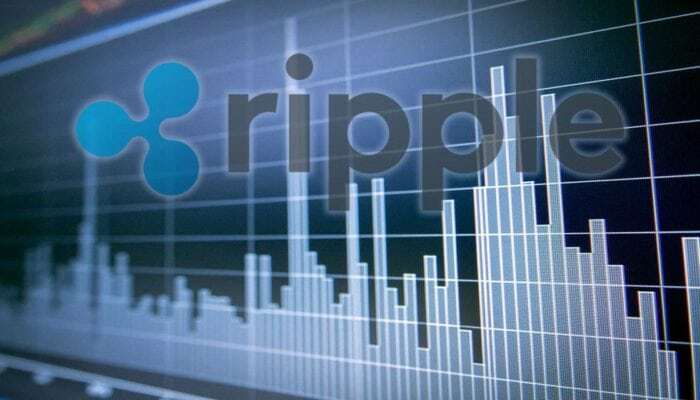 With exchanges showing support for XRP, it goes on to say they are confident of the coin’s categorization and optimistic that when all is said and done, regulators will eventually classify the currency as a utility not subject to their rules. For a better perspective, the weekly chart presents a better picture. From the chart, it is evident that prices are mainly consolidating. Apart from that, Ripple (XRP) prices are moving inside Week ending Sep 23, 2018, high low. As our trend-setting bar, the failure of sellers to conclusively reverse those gains places bulls at a pole position. We shall continue maintaining a bullish outlook as long as prices trend above 30 cents and most crucially 25 cents. In light of these considerations, our previous XRP/USD trade plan will be valid. 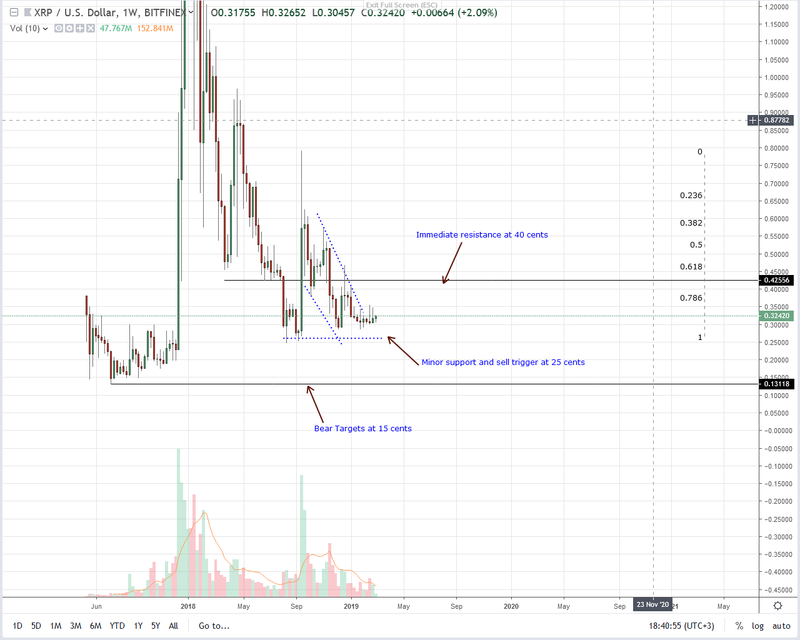 Triggers are at 34 cents, and if prices snap back to trend as they align with late Sep 2018 bulls, it is likely that XRP will clear 40 cents and even retest 80 cents by mid-Q2 2019. A standout bar in this time frame is Week ending Nov 25 bear bar. It has high volumes—770 million against 655 million averages. At current levels, averages are at 184 million. Therefore, for trend confirmation and consequent reversal of those losses, participation levels must spike, pumping prices above 40 cents as losses of Nov 2018 are wiped out.